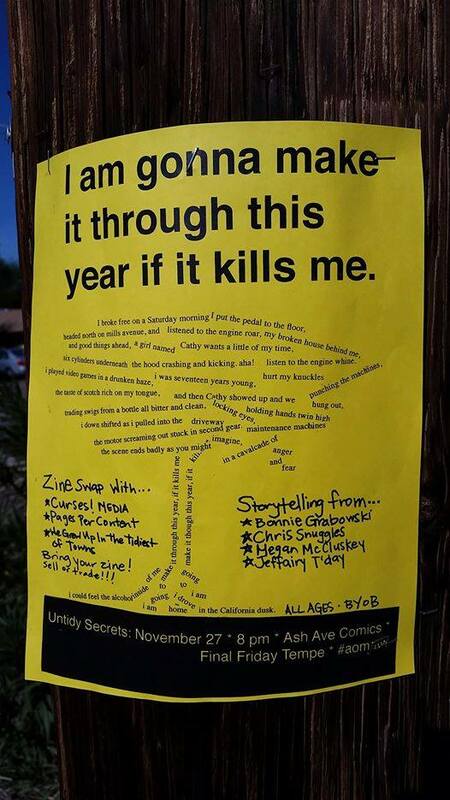 We’re closing the year with the theme “I am gonna make it through this year if it kills me.” Artists tell their stories from their own interpretation of the theme. This event is all ages, free, and BYOB. We start a few minutes after 8, if you arrive late, don’t hesitate to enter quietly.